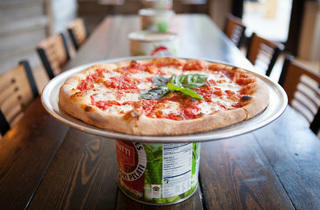 Photograph: Martha WilliamsMargherita pizza at Craft Pizza. 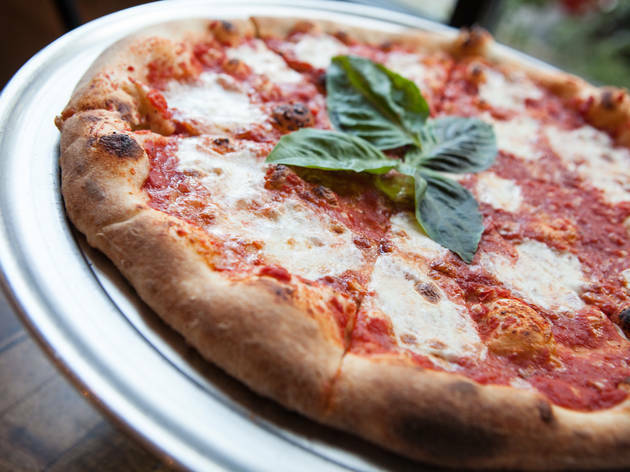 On the quiet stretch of Damen between the Six Corners and Division street, Craft Pizza is serving up some of the best new thin crust pizza in the city. 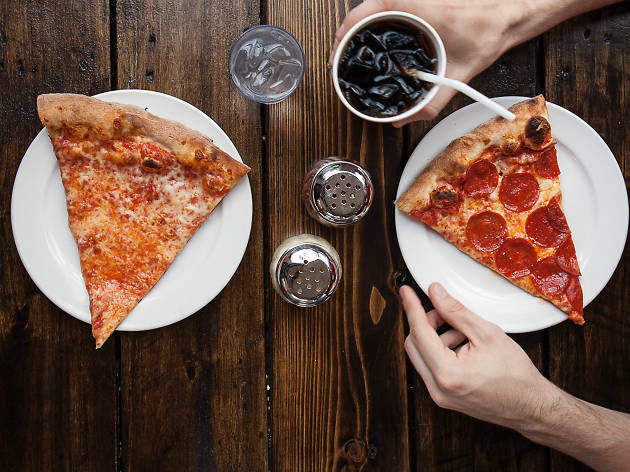 Slices are available in classic choices, like a bare-bones margarita or dressed with pepperoni, as well as a farm-fresh slice of the day. 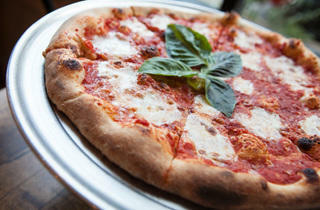 The dough is crisp, perfectly thin and chewy, with a tomato sauce that cuts through the richness of the cheese. 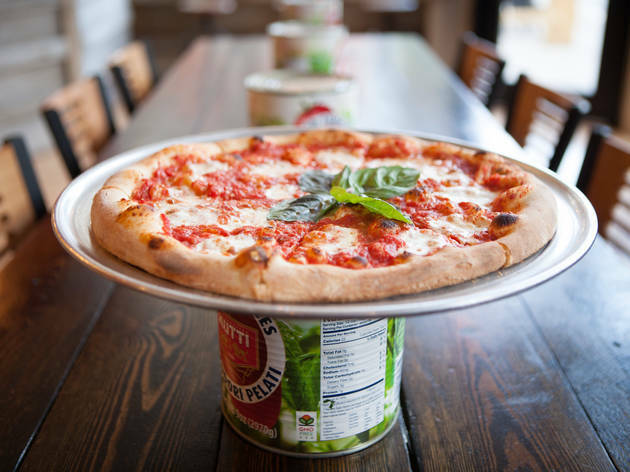 Topped with a changing rotation of assorted veggie gems from the Green City Market, farm pizza is a quick and easy way to change up your lunchtime routine, and won't make you feel as guilty as splurging on a slice of deep-dish. El Stop: Blue Line Damen-O'Hare. Bus: 50, 70. I know this is a deep dish city but this is the best thin I've had in the city! It's crisp but still pleasantly chewy. 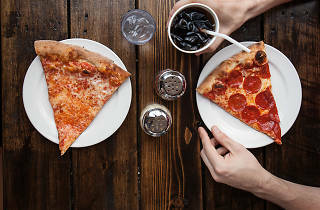 Mother toppings are fresh and unique too! I love the devil in the white city pie, a white pizza with spicy pepperoni, peppercinis and jalapeños. Delicious. It's also byob with a small patio!